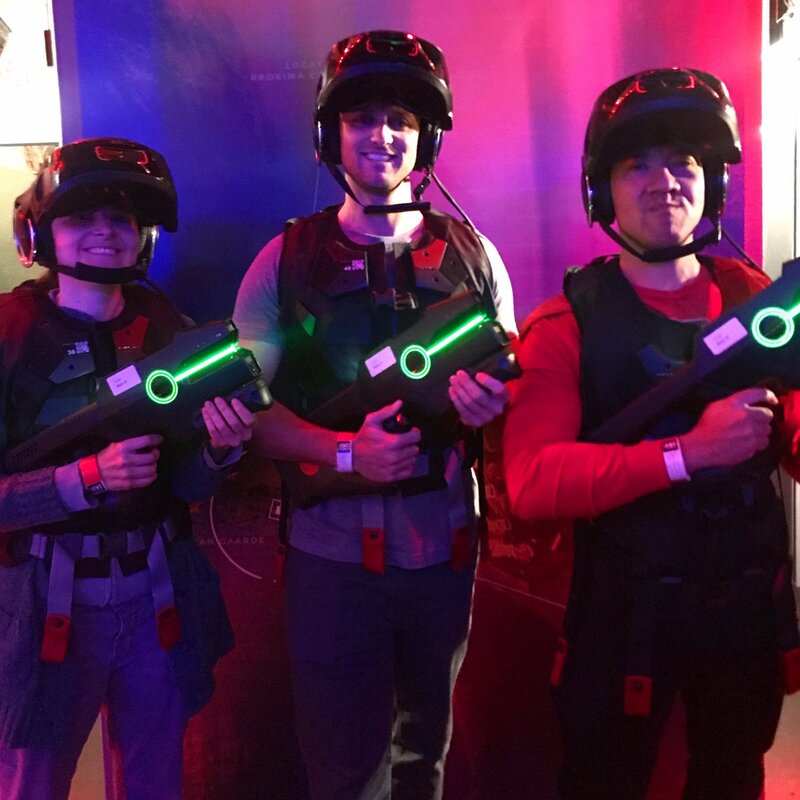 In VR, you can step into Ralph’s Internet world, and infiltrate an Empire base at the new VOID VR location which just opened in Santa Monica. This is the VOID’s third location in the LA area in the past year, after opening its first location at Downtown Disney in early 2018, and later Glendale Galleria. VR venues help bring VR to the mainstream in highly trafficked areas like malls. The VOID specializes in VR experiences with groups of up to four players in untethered VR headgear-goggles with backpacks. You do a 12-15 minute mission walking around a physical space that maps to what you see in VR. You can communicate via microphones built into your headgear, so it’s fun socially. Your avatar is the the same height as you are. The VOID Santa Monica location opens with three experiences. 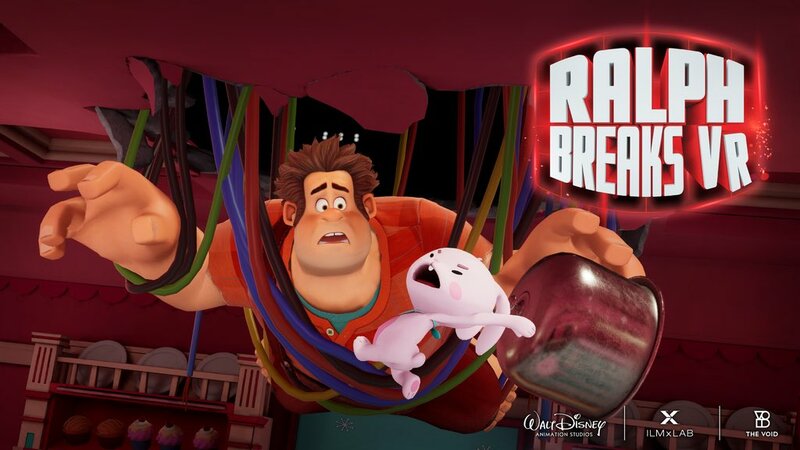 Ralph Breaks VR transports you into the Internet world portrayed in Ralph Breaks The Internet (Wreck-It Ralph 2). The digital portrayal of the Internet, with websites represents as huge skyscrapers in a city, was nominated for Visual Effects Society award for Created Environment in an Animated Feature. 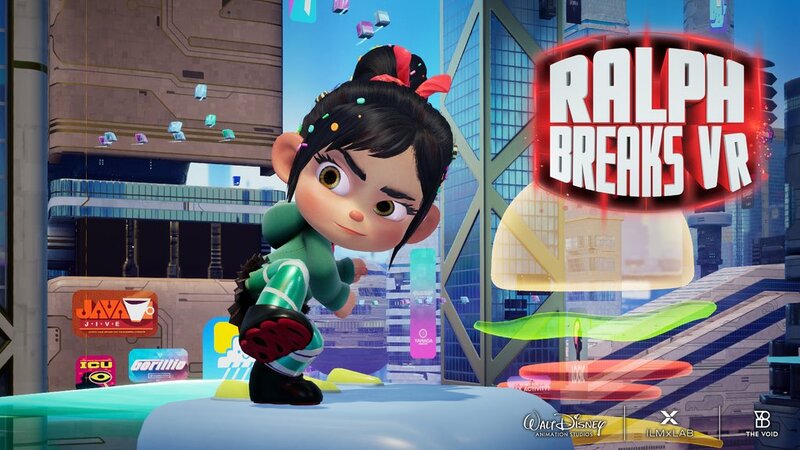 After a brief introductory video with Ralph and Vanellope, you put on your VR headgear, goggles, and backpack vest, and step into VR to see the world of the Internet. You appear as a Netizen avatar, just like everyday humans do in the film. Ralph and Vanellope greet you and guide you through the VR experience’s three mini-games. In the first game, you must quickly tap buttons on a physical wall, and avoid getting ‘shocked’ via a haptic chest vibration. In the second Space Invaders style game, you press buttons on a physical console to control a virtual Space Invaders ship that shoots descending aliens. Simultaneously, you can use side cannons to shoot bad guys. In the third food shooter game, you grab real life guns to shoot pancakes or milkshakes at cute bunnies or kitties. If you’ve seen Ralph 2, you know which to shoot at which. You’ll also notice the delicious smell of pancakes which will make you hungry! The VR experience wraps up with an escape from the Internet world back to Ralph’s animated world. Players’ scores are displayed digitally on an in-game scoreboard. The scoreboard increases repeatability, as players discover secrets to get more points in the game each time they play, and get better at game play. You also can take a group photo in your VR gear, which gets emailed to you afterwards. REVIEW: Fun, good use of real life – in game VR, fun! It was a bummer to take off the VR goggles and be in the regular world. Scoreboard adds to repeatability. You and your friends become a team of four Stormtroopers who must infiltrate an Empire base, and find a secret artifact. 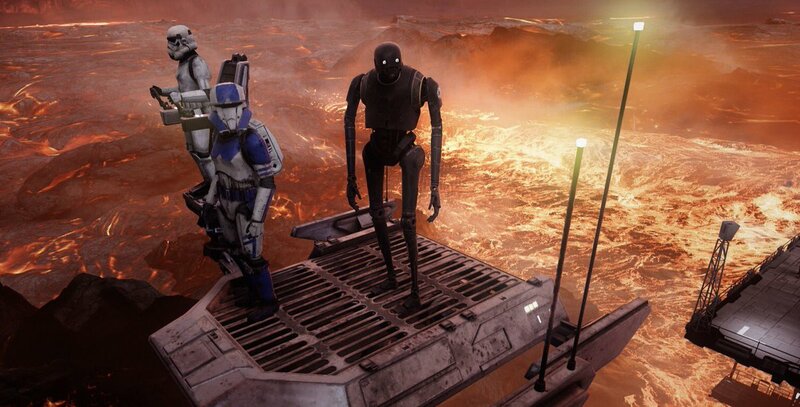 The sarcastic droid K2-SO guides you through the experience. For a review and walk through, see our article from the opening of the VOID at Downtown Disney in January 2018. The third VR experience, Nicodemus: Demon of Evanshiment is a very scary horror experience. We shy away from horror, but were told horror fans love it. Curtis and Tracy Hickman wrote an original short novella with background story and tips on how to escape Nicodemus. The book is available at the VOID’s website. 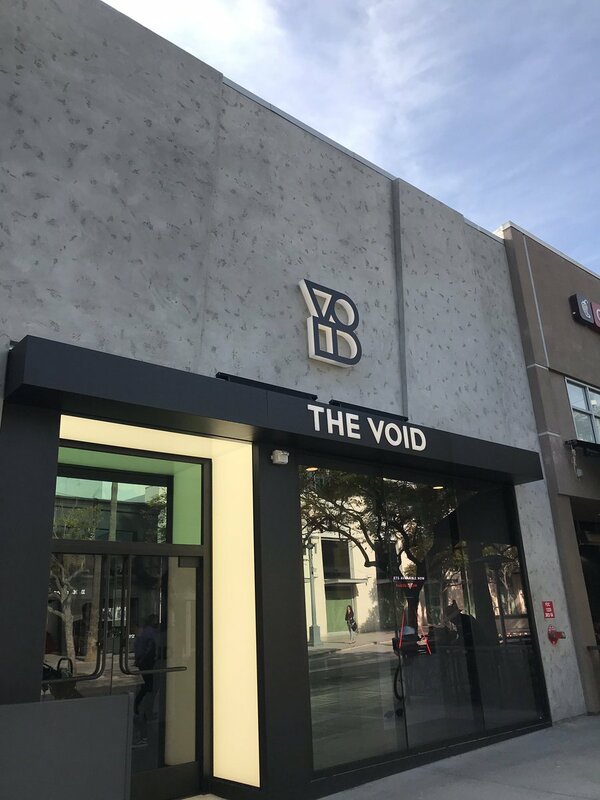 The VOID Santa Monica location is located on Third Street Promenade, just south of Wilshire, just south of the Chipotle. You can buy VOID merchandise including T-shirts and caps. You can also take a group photo by the VOID signage, like our influencer crew did. The VOID Santa Monica’s general manager Mike Lee said that he’s excited about opening on Third Street Promenade. He said guests love the social aspect of their avatars interacting in the game. He said that a guest in a wheelchair was able to play with his partner. In game, their avatars were able to walk around together, while a VOID cast member wheeled him around in the maze. At the end of the experience, when the couple took off their goggles, they had tears in their eyes because this was the first time they were able to “walk” together in VR. Mike said that in the future, look for a Marvel themed VR experience. No hints or titles yet. (Our purely speculative bet/hope: Avengers: Endgame VR in April!). The VOID Santa Monica is currently open every day of the week, 10a – 10p. You can book tickets online 15 minute intervals for groups of up to 4 people. Tickets are $32.95 per person off peak to $34.95 peak. For tickets, visit the VOID website. 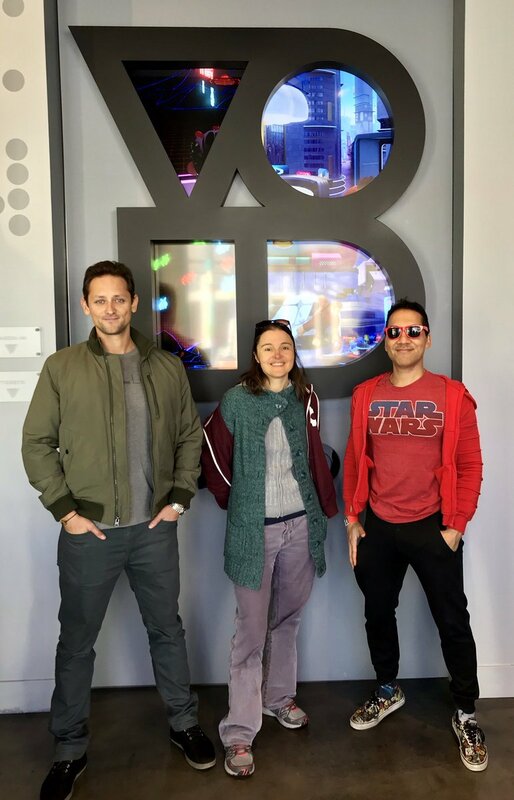 The VOID Santa Monica location joins several other VR venues in the LA area, making LA have the highest number of VR venues per capita. The VOID Santa Monica has been added to our LA VR Venues Directory. If you like VR, Star Wars, or Ralph, it’s a must do! Ages 10+ and at least 48″.